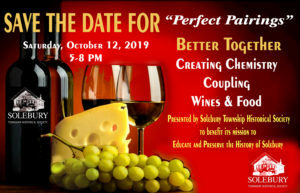 The Solebury Township Historical Society has instituted a partnership with Solebury Township businesses. We expect the business membership program to be beneficial to both the Society and the businesses. Receipt of newsletter and advance notice of Society’s programs and events. Membership support is tax deductible to the full extent of the law. The STHS EIN is included here for your convenience. We thank the following businesses for their support and urge you to support them.